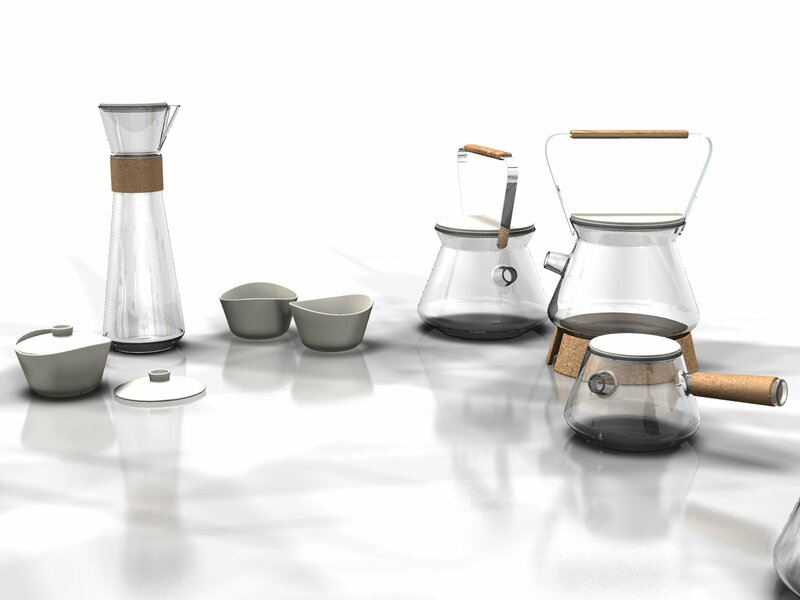 Chado Tea Set | Studio Divers & Kiona Malinka - De website van margrietfoolen! 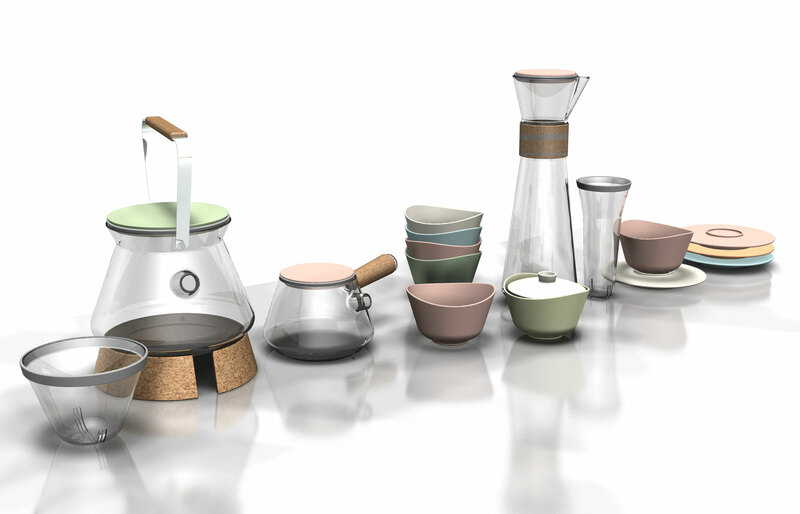 Chado Tea Set is a collaboration of Kiona Malinka and Margriet Foolen. 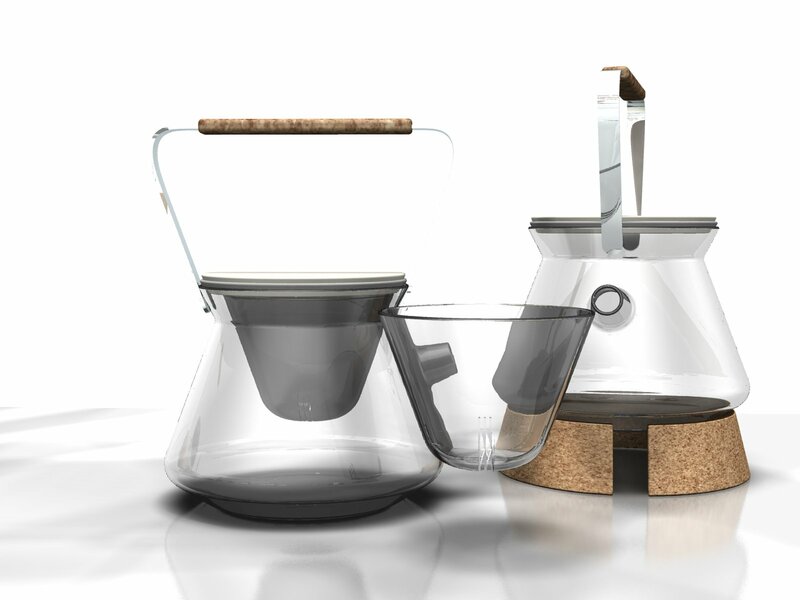 Margriet Foolen is a product designer and Kiona Malinka is a professional tea sommelier. 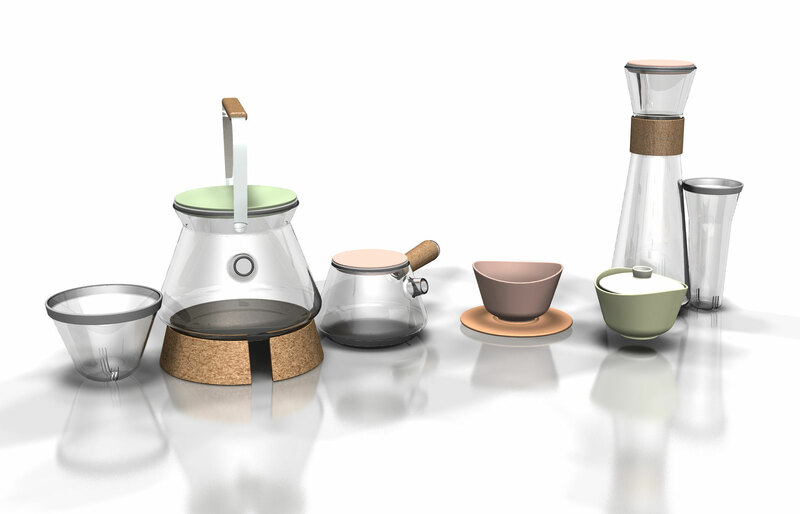 They have combined their talents so they could design a professional, beautiful and stylish tea set. 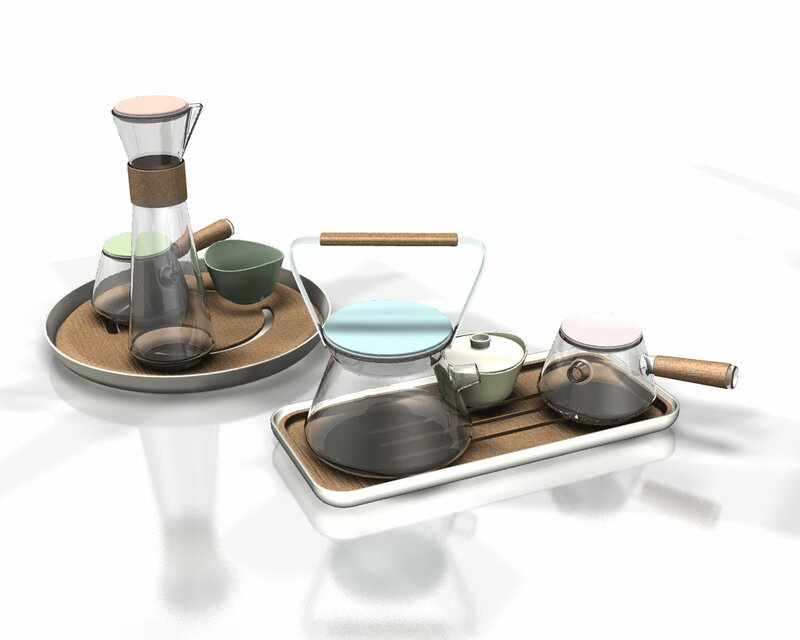 Various tea cultures (Japanese, Chinese, Western) are combined to form one tea set. 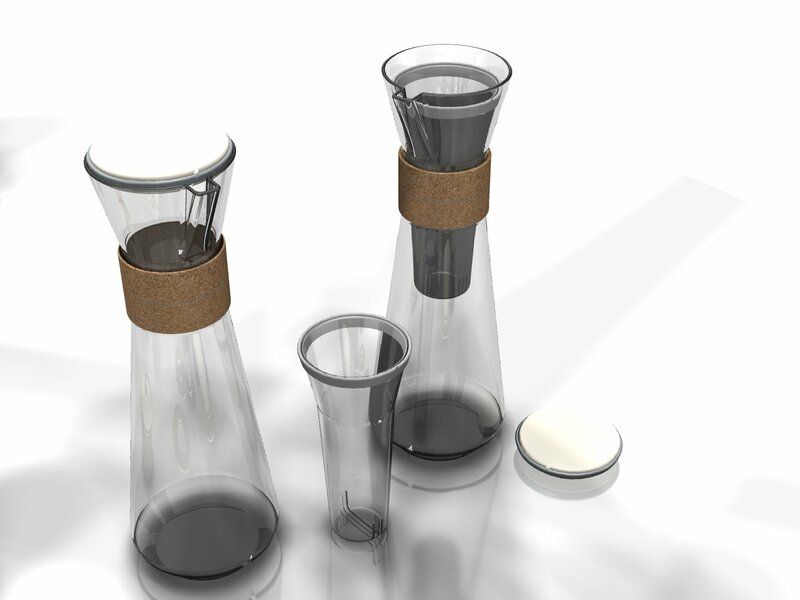 Fresh, self made Ice Tea is emerging and can now be made in a Ice Tea jug which fits in every refrigerator door. 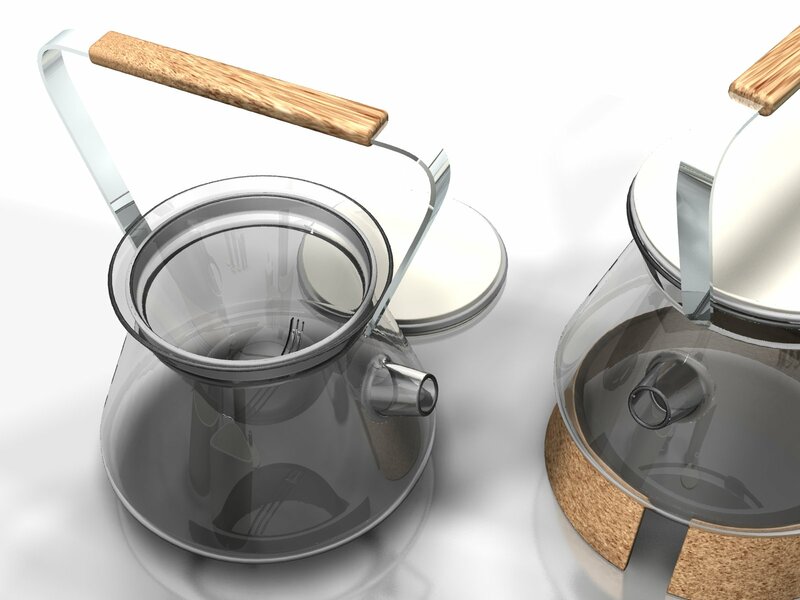 Also hot tea is made easily with a universal teapot and tea for two persons can be traditionally made with a Side Pour jug. 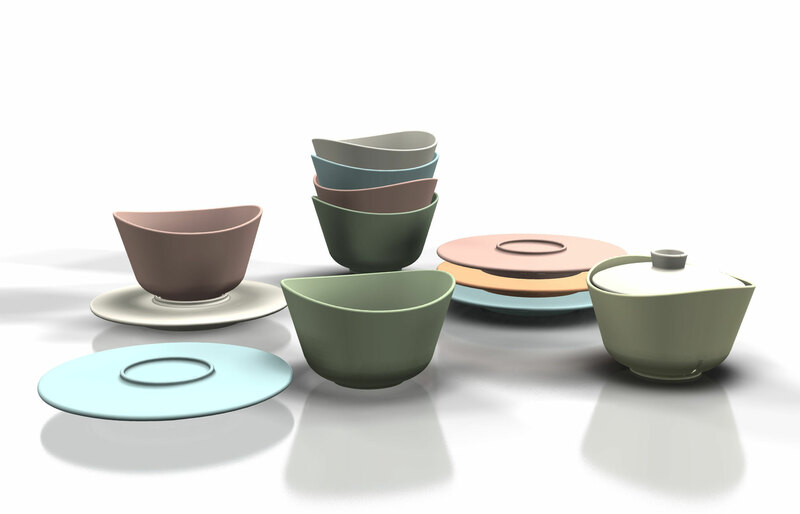 The shape of the tea cups ensures that all the flavours are at their best.